WinBlueSoft is rogue antispyware program, new version of WiniBlueSoft scareware. 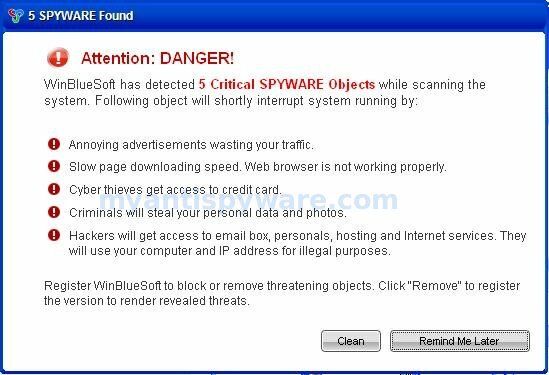 WinBlueSoft uses fake alerts and false positives to trick you into buying the software and distributed through the use trojans that display a lot of security alerts stating your computer is infected and that you should download and install WinBlueSoft in order to clean your PC. During installation, WinBlueSoft configures itself to run automatically every time, when you start your computer. In addition, the rogue configures Windows to run blocker.dll (WinBlueSoft component) every time when you start any program. blocker.dll blocks all programs except a few standart windows applications like iexplorer.exe, explorer.exe and of course winbluesoft.exe. 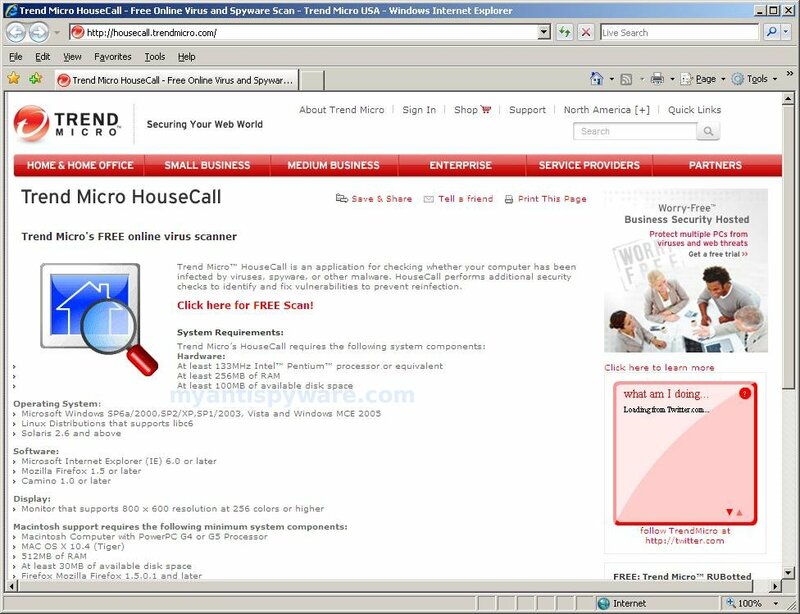 Once running, WinBlueSoft will scan your computer and reports false or exaggerated system security threats on the computer that cannot be removed unless you first purchase the software. All of these threats are fake, so you can safely ignore them. WinBlueSoft and blocker.dll can be safely removed from your computer along with any other malware if the proper steps are taken. If you are a non-techie computer user then this method of removing the rogue is for you. this seems pretty good but the problem i have is i can’t even log on to the computer. will these steps work the same in safe mode. or is there some other approach i have to take using that mode.